Ah, beer. This crisp beverage quenched the thirst of ancient Egyptian workers and craftsmen, and now satisfies millions of Americans every year. Whether at baseball games or summertime picnics, beer is so ingrained in the fabric of American culture that craft breweries are springing up like mushrooms across the country, and there is no shortage of customers on any given day. Despite its nostalgia—the aroma, the taste, the memories made—overconsumption of beer can impact your health over time. As an alcoholic beverage, consuming beer for prolonged periods can lead to health problems of the liver. The liver is the second largest organ in your body and has the monumental function of processing everything you eat and drink. It filters out harmful substances from your blood and allows your body to operate in a healthy manner. A compilation of evidence that demonstrates the many ways beer impacts your body and mind. When alcohol is broken down in your liver, it generates a number of byproducts that can disrupt proper liver functioning. Fatty liver disease - An excessive accumulation of fat inside liver cells inhibits liver functioning. Symptoms can include weight loss, fatigue, and abdominal pain. Fortunately, this condition will usually go away if a patient stops drinking. Alcohol hepatitis - This is a serious type of alcohol-related liver disease. It results in inflammation of the liver, accompanied by the destruction of liver cells. Cirrhosis - Cirrhosis occurs in approximately 20 percent of heavy drinkers. It is an irreversible scarring of the liver and can lead to liver failure. In severe cases, a liver transplant may be the only possible treatment option. Liver cancer - According the American Cancer Society, long-term alcohol use has been linked to an increased risk of liver cancer. If you have alcoholic liver disease, you must give up alcohol entirely. Fatty liver and mild alcoholic hepatitis are reversible, if you can get treatment and live a sober lifestyle. Not only can alcohol consumption can lead to acutely low blood sugar, but over time it can also interfere with the hormones needed to maintain healthy blood sugar levels, such as insulin. Insulin-resistance may lead to increased appetite and weight gain. Therefore, insulin resistance from alcohol consumption might also explain the correlation between Alcohol and Type-II Diabetes. 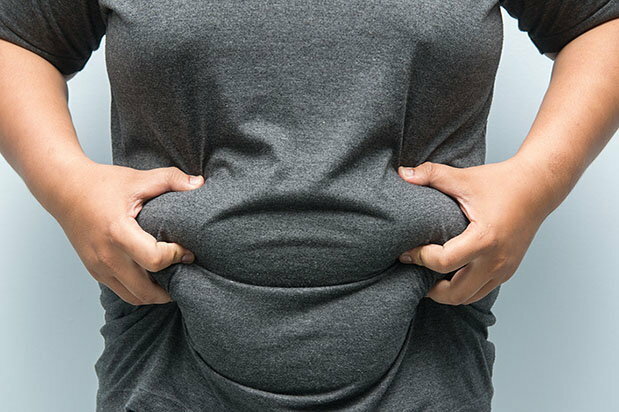 There’s a reason why they call it a “beer belly.” Studies confirm that drinking beer regularly may cause weight gain. Beer can lead to weight gain in a number of ways. For starters, although a bottle of beer contains very little nutrition, it does contain calories. On top of the extra calories, the liver makes a substance called acetate from the alcohol in a beer. Studies have shown that the body burns the acetate for energy instead of burning the fat stored on your hips or belly. In other words, if you're trying to lose extra pounds, beer causes us to burn less fat by burning acetate. And of course, what might the implications of this excess body fat be on your physical health? Unfortunately, studies show it increases your likelihood of developing heart disease, cancer, type 2 diabetes, hypertension, liver disease and asthma, not to mention the psychological impact of these diseases and their effects on your quality of life. According to the Journal of the American College of Cardiology, alcohol abuse increases the risk of atrial fibrillation, heart attack and congestive heart failure as much as other well-established risk factors such as high blood pressure, diabetes, smoking and obesity. In acute cases, drinking too much in a single session can result in alcohol poisoning, a condition that kills an average of six people each day in the U.S. and leads to coma in over 88,000 each year. According to the American Heart Association, excessive and binge drinking can also lead to stroke, cardiomyopathy (diseases of the heart muscle), cardiac arrhythmia (an abnormal heart rhythm), and sudden cardiac death. While some report feeling more bubbly after having drunk a glass or two of beer, alcohol is in fact a depressant, in that it reduces nervous system activity. As a result, this can impair brain functioning in a few ways. Physically, this may lead to loss of balance, slurred words, and a retarded reaction speed. Binge drinking, most prevalent in young adults ages 12–20 who often use beer as their drink of choice, may even cause a “blackout period” during which drinkers report memory loss. Studies show alcohol can inhibit executive functioning in the brain; this includes decision-making and planning. This is why many report feeling disinhibition as a side effect of drinking, and why many turn to it during uncomfortable social situations. However, this disinhibition can lead to unnecessary, dangerous risks, like starting fights or driving while under the influence. Alcoholism can creep up slowly, especially because beer is socially acceptable in so many occasions. A regular happy hour to toast the day with several beers may seem harmless, but long-term alcohol use can cause serious health complications, affecting every organ in your body. An individual who suffers from alcoholism has a physical and psychological desire to consume alcohol beyond their capacity to control it, regardless of how it affects their health. If you or someone you know is struggling with alcohol addiction, you can visit our directory of rehab centers or call 800-772-8219 to speak with a treatment professional.